EverVending - For the Fun of it ! EverVending is a small, family owned and operated sticker, tattoo, and toy vending machine servicing company. 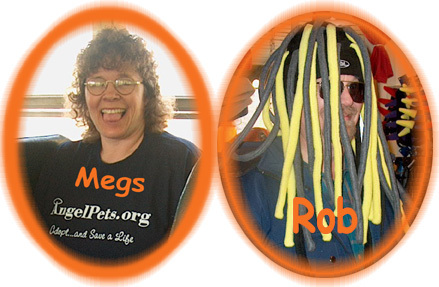 Together, Megs and Rob run the show. They provide stores, pizza shops, delis, restaurants, and various other types of locations with good quality vending units. They keep them well stocked with fun and interesting items that kids - of all ages - find fascinating. Each vending location is treated as a partner, with input from the owners, managers, and workers adding to the overall success of the vending experience. We'd like to be your partner - offering you the ability to make some extra cash from a small, unused piece of floor space. We'd like to provide you with products that are fun. Happy kids usually equal happy parents. Happy parents make better customers for your business. We tend the inventory and then . . .
You allow us to give you some extra cash - that's it! OK, if you'd like to, you can give us a referral and we'll give you some more cash. Send mail to agent9to5@msn.com with questions or comments about this web site.